What do you look for in a multivitamin? Is it important that it be among the most advanced multiples available? How about that it be highly potent? And that it contains highly active nutrients to support the liver, which is highly important to health? If all of these benefits are necessary, this product may be for you! 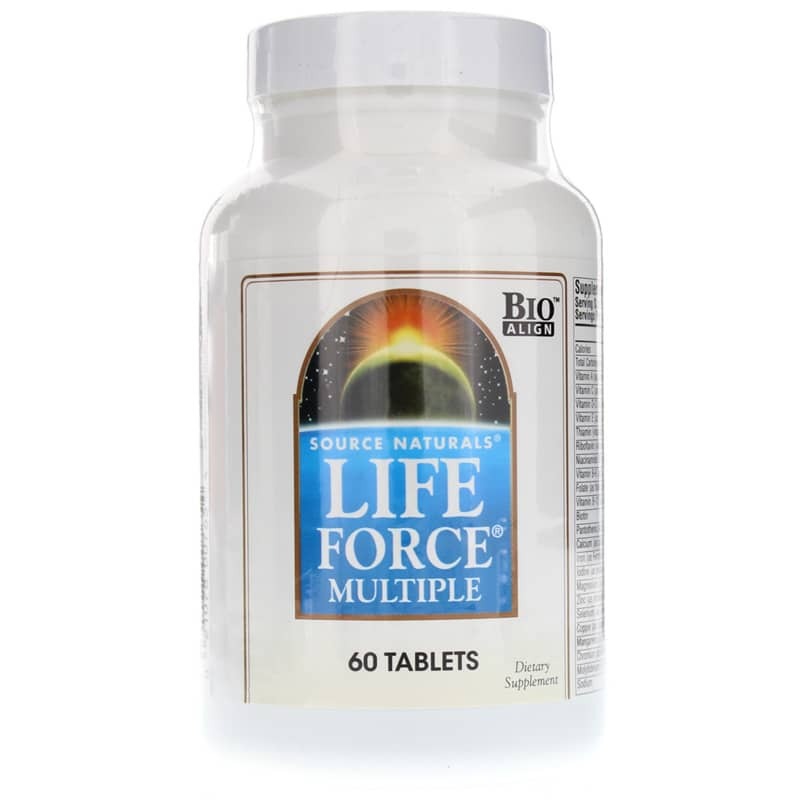 Source Naturals offers a natural multivitamin and mineral supplement called Life Force Multiple that is consistently honored as one of the top multivitamins in the natural products industry. 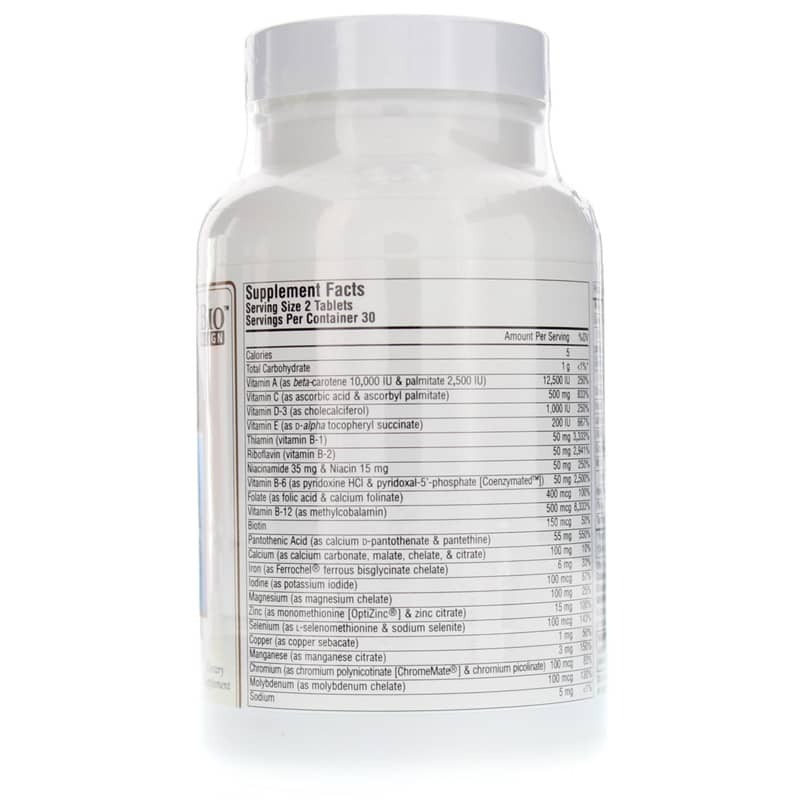 This supplement contains 23 ingredients that help you combat four processes that contribute to aging, those being buildup of toxins, cellular energy loss, unhealthy internal response and oxidative stress. If you're looking for a natural multivitamin and mineral supplement that is consistently honored as one of the top multiples in the industry, check into Source Naturals' Life Force Multiple. Order online today! 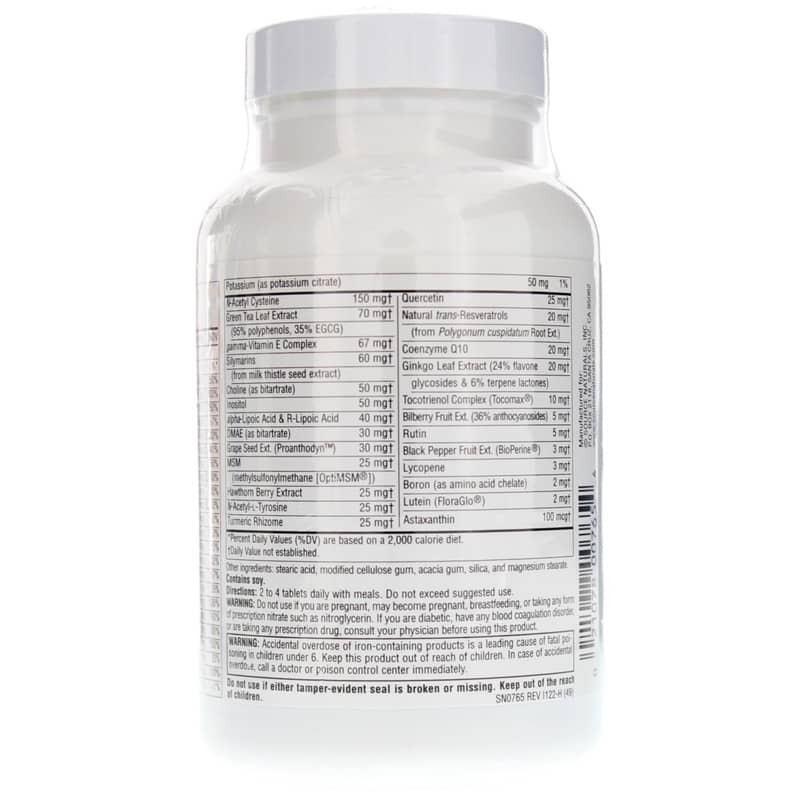 Green Tea Leaf Extract (95% polyphenols, 35% EGCG) 70mg gamma-Vitamin E Complex 67mg Silymarins (from milk thistle seed extract) 60mg Choline (as bitartrate) 50mg Inositol 50mg alpha-Lipoic Acid & R-Lipoic Acid 40mg DMAE (as bitartrate) 30mg Grape Seed Extract (Proanthodyn) 30mg MSM (methylsulfonylmethane [OptiMSM]) 25mg Hawthorn Berry Extract 25mg N-Acetyl-L-Tyrosine 25mg Turmeric Rhizome 25mg Quercetin 25mg Natural trans-Resveratrols (from Polygonum cuspidatumRoot Ext.) 20mg Coenzyme Q10 20mg Ginkgo Leaf Ext. (24% flavone glycosides & 6% terpene lactones) 20mg Tocotrienol Complex (Tocomax) 10mg Bilberry Fruit Extract (36% anthocyanosides) 5mg Rutin 5mg Black Pepper Fruit Extract (BioPerine) 3mg Lycopene 3mg Boron (as amino acid chelate) 2mg Lutein (FloraGlo) 2mg Astaxanthin Other Ingredients: stearic acid, modified cellulose gum, acacia gum, silica, and magnesium stearate. Contains NO: yeast, dairy, egg, sugar, or artificial color, flavor or fragrance. Adults: Take 2 to 4 tablets daily, with meals. Do not exceed suggested use. Not for use by women who are pregnant, may become pregnant, breastfeeding, or taking any form of prescription nitrate such as nitroglycerin. If you are diabetic, have any blood coagulation disorder, or taking any prescription medication, consult your physician before using this product. Accidental overdose of iron containing products is a leading cause of fatal poisoning in children under 6. Keep this product out of the reach of children. In case of accidental overdose, call a doctor or poison control center immediately.